BUKIT LANJAN: Meritocracy in education policies and system is still just a Malaysian dream! It is time for politicians from both sides of the political divide to start thinking seriously about the future of Malaysians and Malaysia. Meritocracy should not be politicised, neither should it be mixed with race and religion. 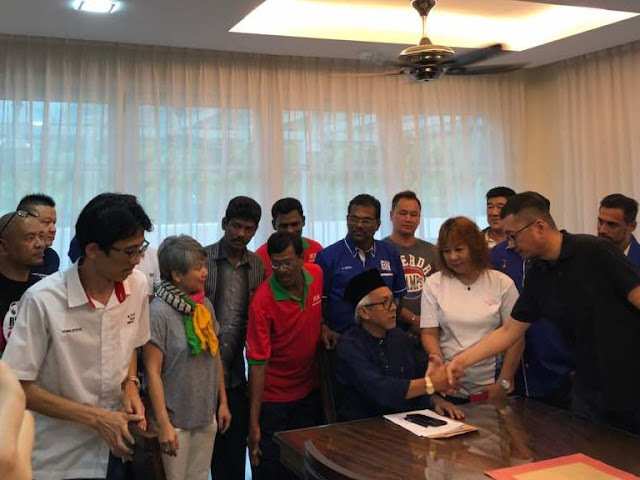 “Malaysia cannot hope to really progress to be transformed into a developed nation if it continues to ignore the merits of meritocracy,” Gerakan Deputy Speaker Syed Abdul Razak Alsagoff said. “Politicians are well aware of Malaysia’s brain drain problem. But the majority does not have the political will to really fight, lobby or champion for a policy of meritocracy in our education system. “An abundance of quality and competent human capital is the key to any nation’s progress and development. 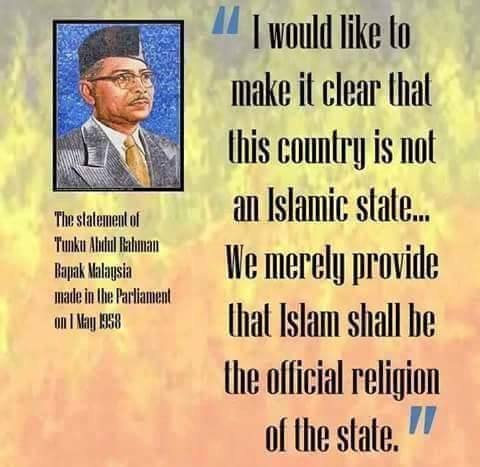 The way Malaysia is losing its talents and brains, talk of achieving developed nation status is rhetoric,” he added. 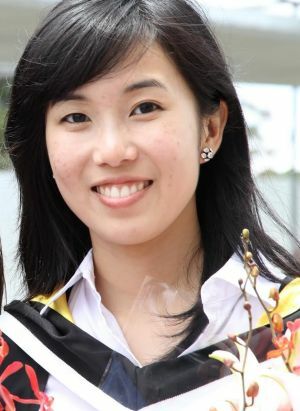 *Dr Lam Shu Jie (藍舒潔), 27, Chinese Malaysian* the superbug girl who did Australia proud. “She made it to the international news headlines in 2016 … that’s about two years ago. Have politicians from both sides of the political divide taken note of Dr Lam’s achievement seriously? “Have we taken steps to revamp our education policies and system to embrace meritocracy to try and put the brakes on the brain drain caused by the education system and lack of support to academic high achievers, just because they are not from a particular race?” he asked. If you don’t know the name Lam Shu Jie, then it’s about time you get to know this super lady. 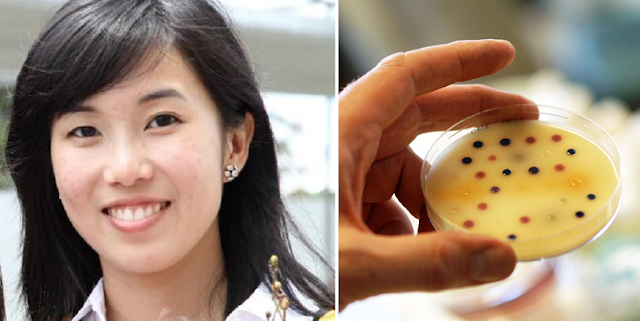 Dr. Lam Shu Jie is a 27-year-old ‘Malaysian’ scientist who discovered a possible solution to cure Superbug infections. But Australia seems to be more proud of her than Malaysia. But she went to Australia anyways to complete her degree there, and things got better for this bright lady! 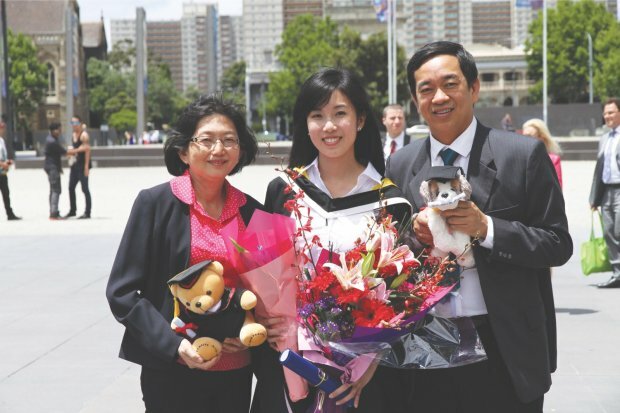 “With her excellent results from Melbourne University, she got the scholarship from the Australian government to further her postgraduate master degree. Best of all, Dr. Shu Jie got the amazing recognition she deserved with her breakthrough research in the cure for the superbug infection while in Melbourne University. Not only is she recognised by the Australian government, even China took note of her epic contribution to the medical industry. She even made headlines in several international portals! That’s how big a deal this is! “China has just awarded her the illustrious ‘Young Overseas Chinese Award’ in Beijing. China’s Health Minister Gao Qiang personally handed the coveted award to her.” Even Singapore wanted a piece of that intelligence in their nation! “Many believe her quality research work will have massive global impact. She has the potential to win a Nobel Prize in future! “I wonder why Malaysia isn’t doing anything to rope her back?” This brought on the sad reality for many Malaysian netizens who found most of our talents have left or are in the midst of leaving our country. One netizen also expressed her sadness as she said, “We have so many amazing ‘Malaysians’ that we are extremely proud of but where are they? Cassandra Hsui, Lim Jia Yi, James Wan, Lam Shu Jie, etc. “These are all names we will proudly call Malaysian but are barely Malaysians anymore as they bring their talents to other countries. For most of us layman, it’s probably one of those rare times we hear of the superbug in passing. 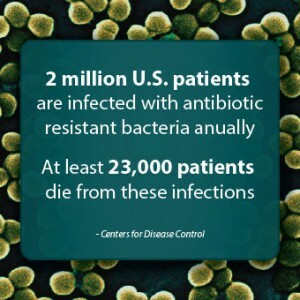 A superbug is basically a bacteria that is resistant to antibiotics, so the drugs administered to you by your doctor wouldn’t help much or at all against this pathogen. Hence, the name superbug. That being said, without being able to cure diseases caused by these antibiotic-resistant bacteria, these indestructable bacteria could kill up to 10 million humans on the Earth by 2050. 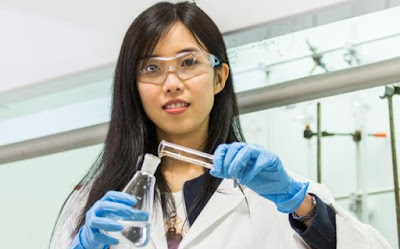 Thankfully, 25-year-old Shu Lam who is pursuing her Ph.D. at the University of Melbourne may have found a way to battle the superbug by the use of polymer chains. If you didn’t pay attention in science class at school, a polymer is a cluster of molecules linked together. Lam developed a fascination for the study of polymers during her undergraduate years and is now a key component of her dissertation research of antimicrobials and superbugs. Her breakthrough within the research was when she discovered, unlike the function of antibiotic which is to kill the bug and will also coincidentally kill the healthy cells around it, polymers simply fights the bug physically without harming other healthy cells. As bacteria is not resistant to polymer the same way it is to antibiotics, a chain of star-shaped polymer molecules will tear into the surface membrane of the bacteria causing the bug to self-destruct. In this way, the bugs can be killed even after generations of mutation. Fuyohhh!! “I’ve spent the past three and a half years researching polymers and looking at how they can be used to kill antibiotic-resistant bacteria,” she tells This Week in Asia via South China Morning Post. This truly is a great break in the study of polymers, however, the Malaysian girl’s research is still in early stages and there will be more work to put in the research before putting it in use. The superbug is a direct threat to mankind and is listed as a key threat by the World Health Organisation (WHO). A meeting was also called by the United Nations General Assembly to address the superbug explosion. 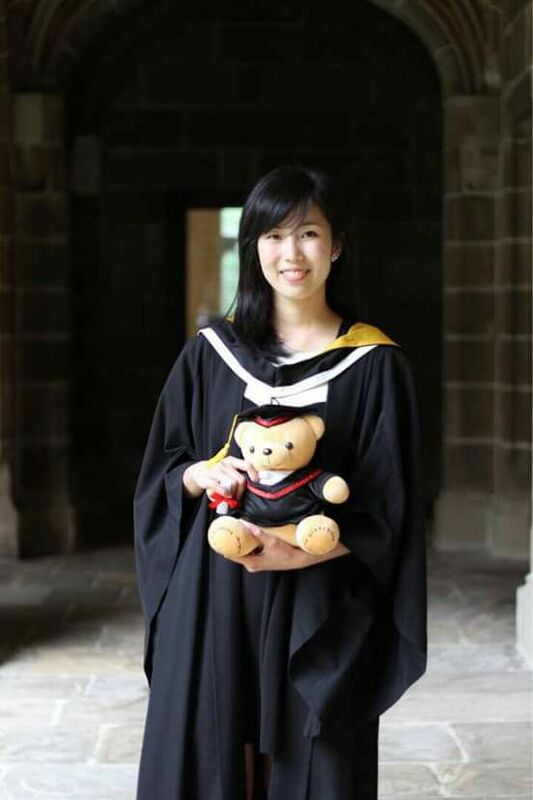 Lam who completed her primary and secondary education in Malaysia has moved to Australia to pursue her tertiary education. “Being in Melbourne, I have developed an interest in food and really like exploring new cafes and brunch places, so I spend a lot of time trying new food and walking around when I’m not working,” Lam said. 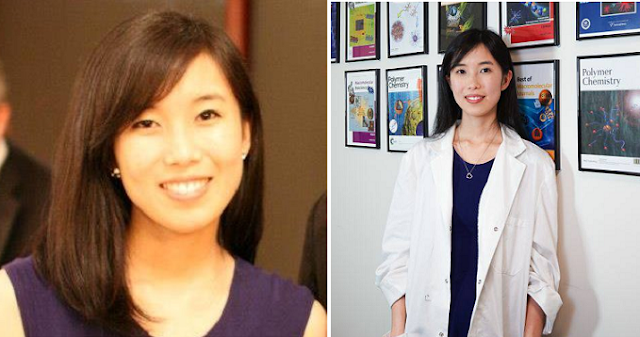 Unlike her father who is a pediatrician and went into medical training, Lam would resume in the field of research. “My main preference would be to continue to stay in research, but I am also looking at career fields outside of polymer research,” she shared. (Johor, Batu Pahat 18 Sep) Shu Lam, the Malaysian PhD student in Australia opines that the Chinese primary school education has given her a very good foundation especially in mathematics and science. This has some form of impact on her decision to venture into chemistry and medical research sector. The ability to work hard and endure hardship nurtured by Chinese primary school is also a must have criteria as a researcher. Lam, from Batu Pahat, who leads a research team to have made major discovery in medicine on possible alternative to antibiotics, is featured by both local and foreign media. Through email and apps, Lam was interviewed by Sin Chew Daily and disclosed the influence of Chinese education on her. She studied in SJK (C) Ai Chun, the only all girls’ school in Johor. In secondary school she studied at Temenggong Ibrahim Girls’ School. Despite studying in national secondary school, she still opted for Chinese class. In PMR, she scored all As including Chinese language. Although she has studied in Australia for many years, her Chinese language standard remains good. She spoke in fluent mandarin when being interviewed with quick response. When asked about her option to conduct research, she revealed that she began to be interested in chemistry in secondary school. She hoped to apply knowledge in chemistry to resolve problems faced by modern people. In university she opted for chemical engineering. She also added that she was strongly encouraged by her parents. They have been motivating her to pursue her interests and also supported her option on research. Lam revealed that starting scientific research three and a half years ago until now, she has been focusing on discovering alternative for anti-biotics. The research involves very new topic and many people have never conducted any experiments. Thus she spent long hours and effort to explore. She faced many bottlenecks during this period of time. Her family members and colleagues in research group have been motivating and supporting her. It was not an easy journey. She unwinds through her prayers and leisure activities during free time. About her plan after graduation this year, Lam said in future she still hopes to venture into medical research. Using her knowledge in chemistry, biology and medicine, she wants to resolve problems faced by mankind such as cancer, virus infection and others. She also stresses that regardless of her continuation in research, teaching in university or venturing into other sectors, she would want to contribute to the society and hope that the current research outcome can motivate scientists throughout the world to venture into such research to resolve the issue of superbugs which are bacterial resistance to antibiotics. 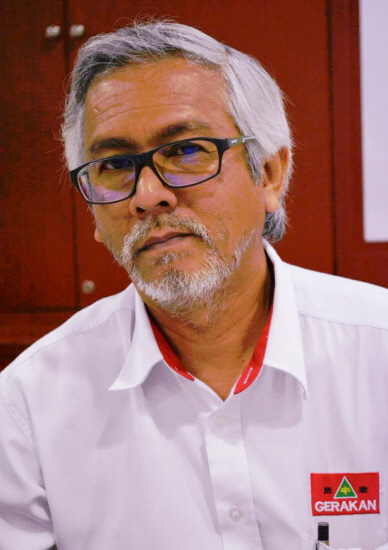 “I am all for Malaysian students who are interested in research to take up this path. Research is not an easy path. It requires long hours and energy. Failure is common. However, each failure is a learning opportunity. Citing herself as an example of accumulating various failed experiments in order to have the research result now, she encourages everyone to make good use of every opportunity to learn. One must also have time to rest so that one is healthy both physically and mentally. Lam is born in a medium-sized family. Her deceased father Lam Bang Nan was a paediatrician. Her mother Xue Bao Zhu gave up teaching more than 20 years ago to be a home maker. She has very good family relationship. According to Lam, apart from education, her parents placed emphasis on mental and relationship development. The family places emphasis of spending time together. Her mother, elder sister, younger sister and her would wait for the father to return from clinic to have lunch and dinner together. She is unable to forget her father’s love. Knowing that she loves fried squid, her father would always take the entire family to Segenting for seafood and order fried squid each time when she returned home from Australia prior to his death. Until now, she still remembers the family trip to Sydney for the first time in 2000. Before his last breath the father reminded her to take care of health no matter how busy she is. She is grateful to her parents who never pressure her in studies. Each time they would encouraged her “to try her best” and support her choice of studies in overseas. It is the nurture, support and motivation that have motivated her to have her achievement today. She also said all those who are not at home would miss family members especially during festive seasons. She insists on returning home during Chinese New Year to be with family members for reunion dinners. Lam, when talking about her character, says she has been disciplined and independent since young. She likes to record “things to do” in the schedule stored in handphone. She will delete the entry after completing the task one by one. However, she does not force herself to complete the tasks within the day, as long as they are completed prior to the deadline. She does most of the tasks by herself and does not compromise on quality of work. She also describes herself as talkative. But she is slow in warming up. In life, she believes one is rewarded with hard work and sees passion as utmost important. She loves to read, especially detective novels in English. She likes the feeling of entering into the novel’s world while reading. So she often spends her pocket money to buy books. She has also tried to write articles and poems. Some days she would also make herself toys, write stories for herself and also make toy puppets. She is grateful to all teachers who have taught her, including Zhuang Yu Zhen who encouraged her to be disciplined and work hard. There are other primary school teachers: Jiang Yu Zhen, Li Ya Ni, Tang Mei Hua, Liang Jian Fa. In her secondary school a teacher by the name of Norazah who cared about her academic and mental development and Wu Yan Bing who inspired her to be interested in chemistry. She also remembered her classmates in secondary schools. They were together in dancing, drama performance and playing badminton in order to release their tension. They helped each other in home work. Many have thought Lam is a Malaysian migrated to Australia. In fact, she is still a Malaysian. On whether she would opt to remain in Australia, Lam says she should be remaining in Australia for medical research after her graduation. She does not rule out the possibility of returning to Malaysia for research work and lecturing. She is still a Malaysian at heart. She said there are many Asians where Chinese is the majority in Melbourne. She adapts to the environment fast. She hopes more Malaysians can understand and join scientific research. She said there are many outstanding research institutes in local universities delivering great contribution to human civilisation. Daily used items, medicine, science and technology are developed by scientists who spend many years of effort. KUALA LUMPUR: Dr Lam Shu Jie – the scientist who discovered a solution to antibiotic-resistant bacteria – has been bestowed the Outstanding Malaysian Chinese Award. The 26-year-old took an eight-hour flight from Sydney to Kuala Lumpur to attend the Chinese Community Patriotic Assembly at the Putra World Trade Centre here where she received the award. Dr Lam said she never expected such a recognition and was honoured that the Malaysian Chinese community chose her as one of the recipients. “I feel very honoured and surprised. When they contacted me, I said sure, I’ll come back to receive it,” said an elated Dr Lam. “And to see such a huge attendance to celebrate Malaysia Day and the Malaysian Chinese achievements makes me feel really proud to be part of it,” she said. Prime Minister Datuk Seri Najib Tun Razak presented the award to her during the assembly. Dr Lam, who only spent some 24 hours in Malaysia, is flying back to Sydney this morning where she is currently working for a multinational company serving the combined industries of health information technologies and clinical research. 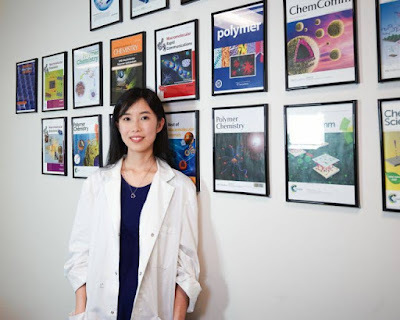 She said her “never give up” attitude was what led to her scientific breakthrough when she and her team of researchers discovered a possible solution to the antibiotic-resistant bacteria commonly known as “superbugs” when she did her PhD in Chemical Engin-eering. She holds on to a piece of advice by her late paediatrician father, Dr Lam Pan Nam – to do one’s best in everything and be accountable for what one does. “I looked up to my father, keeping in mind what he used to tell me, that I don’t need to be the best in everything but just do my best,” said Dr Lam. Born in Scotland when her father was doing his specialist training there, Dr Lam grew up in Batu Pahat where she attended SJKC Ai Chun 1 and the Temenggong Ibrahim Girls’ School. 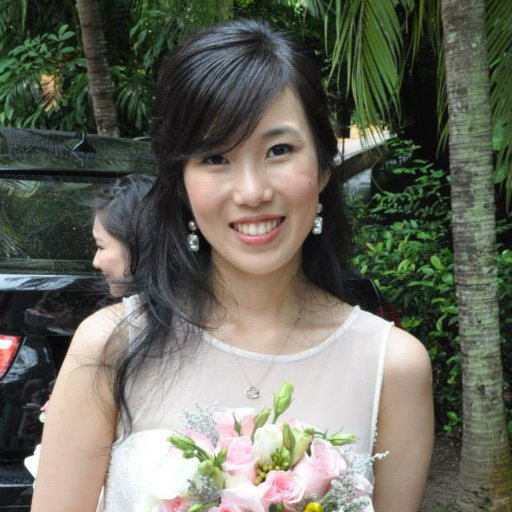 She went on to score 11 A1s in her SPM and did her foundation studies at the University of Melbourne. Her excellent results saw the Australian government giving her a full scholarship to pursue her Chemical Engineering degree at the same university. “I found a deep interest in understanding why things happen and solving problems. That’s how it led to me pursuing a PhD. “During my PhD, it was my supervisor who asked me if I wanted to take up the challenge of finding a solution to antibiotic-resistant bacteria and so I started. “It wasn’t easy and straightforward. We tested a lot of different compounds until we found one that worked and further optimised it,” she said. Dr Lam received the award alongside national shuttler Datuk Lee Chong Wei and diver Cheong Jun Hoong. Lee, a three-time Olympic silver medallist, managed to squeeze in some time to train early in the morning before attending the event. He was preparing for the upcoming Daihatsu Yonex Japan Open which will be held from next Tuesday to Sunday. Lee had to leave right after the event yesterday as he needed to board a flight to Japan. Cheong hoped that the award can serve as a motivation to inspire others to move forward and scale greater heights. - The Star Online"